Federation of Indian Associations of NSW is very concerned about spate of serious attacks on Indian businesses in Harris Park over the last few months. Last night, popular Billu’s Eatery in Harris Park was attacked with a bullet fired at the window at 9PM. This is the 4th in the series of serious crime, targeted at businesses in Harris Park. People were lucky last night that the bullet did not hit anyone. There were 30-40 people inside the restaurant and many people outside on the street. It was a very close save. It could have been a fatality. Businesses are very concerned about such attacks. These attacks are affecting them on multiple ways. Indian Australian community is equally concerned about such crimes. There is a serious disquiet, agitation and concern in their minds. There are strong rumours, although not confirmed, that some people of criminal background are targeting Indian businesses with the purpose to intimidate and bully them to facilitate “Hafta” (Extortion of weekly money) collection. This practice is common in South Asia, but must not be allowed in Sydney. Our businesses do not need or deserve to be intimidated, fired at, or harmed. They have all the rights to conduct their businesses without intimidation from anyone. Businesses are already struggling and such activities are the last thing they need. We urge NSW Police, Police minister & Premier, Mike Baird, to do everything to get to the bottom of this whole thing in Harris Park and get the culprits out of action. 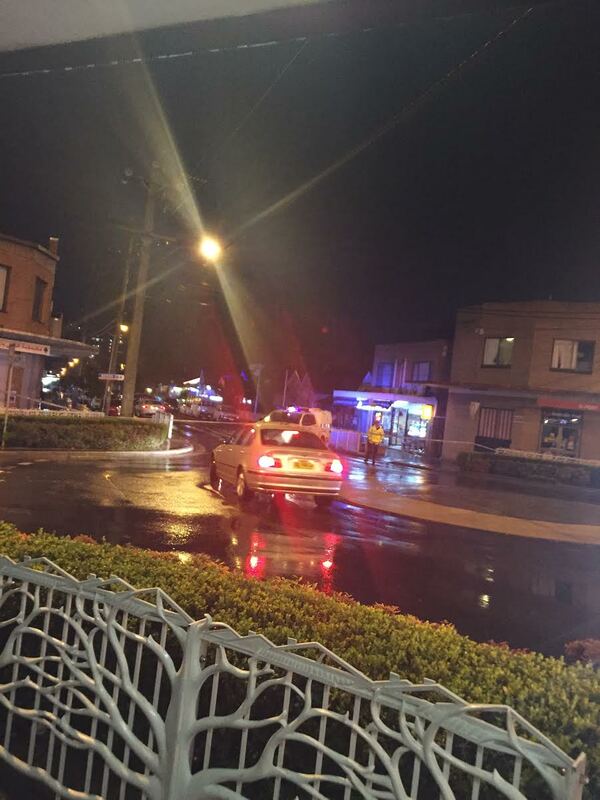 We urge Parramatta Council and Parramatta Police Local Area Command to organise a security and safety review of Harris Park area urgently and fix the short comings found after the review. This entry was posted in Billu's eatery, Dr Yadu Singh, Harris Park restaurant attacked and tagged Billu's Eatery, bullet attack on Harris Park restaurant, Dr Yadu Singh, Federation of Indian Associations of NSW, Harris Park, Harris Park restaurant attacked, Parramatta Council, Parramatta Police Local Area Command. Bookmark the permalink.